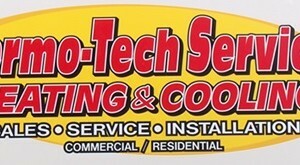 Thermo-Tech Services LLC of Findlay, OH offers quality heating and cooling sales, service, and installation to residential and commercial consumers. Our services also include ductwork, system design, humidification, and more. We are committed to providing the best services, sales, and installation that the industry has to offer. With over 16 years of experience, we guarantee reliable products and professional service at reasonable prices. Our friendly, skilled staff is ready to resolve you issues promptly and efficiently. Thermo-Tech Services LLC is an accredited business of Better Business Bureau serving Northwest Ohio. We are an independent American Standard dealer, and we service all brands and models. OH LIC#46006. Contact Thermo-Tech Services LLC today by phone 567-525-4976 or fax 567-525-4978 for quality heating and cooling sales, service, and installation.